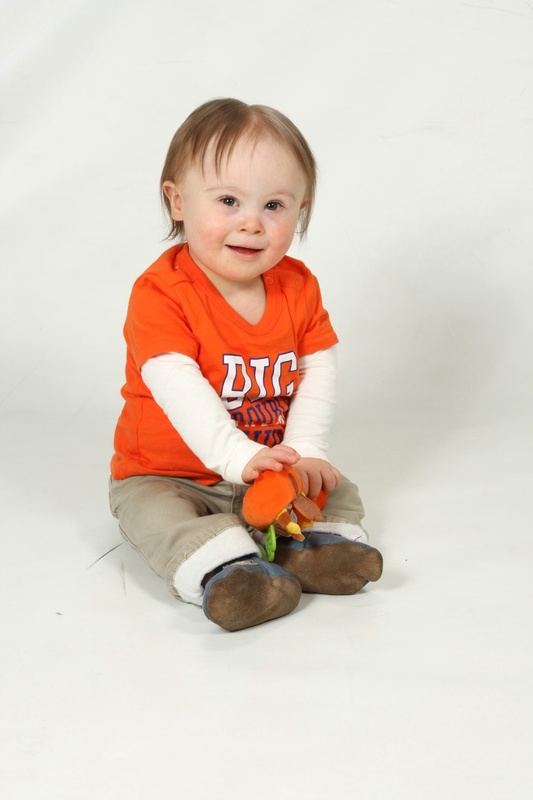 When Do Children With Down Syndrome Walk? You are here: Home / Resources / Milestone Alert: Noah’s An Official Walker! If I’ve learned anything from being parent these last few years it’s this; you never know when your child is going to achieve a major developmental milestone! Noah’s been working hard lately trying to learn to walk on his own. He’s been able to take a few steps on his own for a while now, and he recently learned to stand up on his own, but today, at 22 months old…out of the blue…did something ah-mah-zing….! Yelp, that’s right. Noah is a full fledged walker! 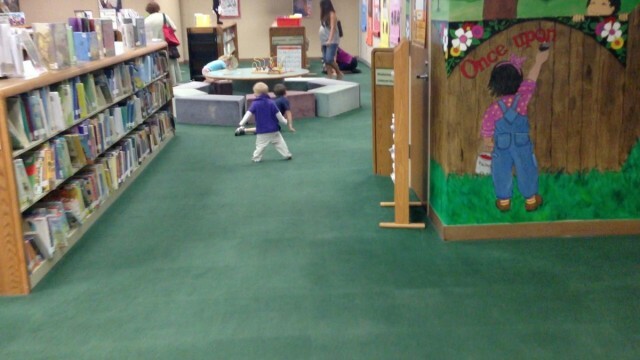 I brought him to a local library story time this morning and were plying in the room after everyone left when he decided to stand up on his own and take a step, then another one, and another one, and another one….and you get the point. I couldn’t believe it! Once he figured out what he was doing, he wouldn’t stop. Although it won’t always be awesome to have to chase down a toddler, it was certainly awesome today! 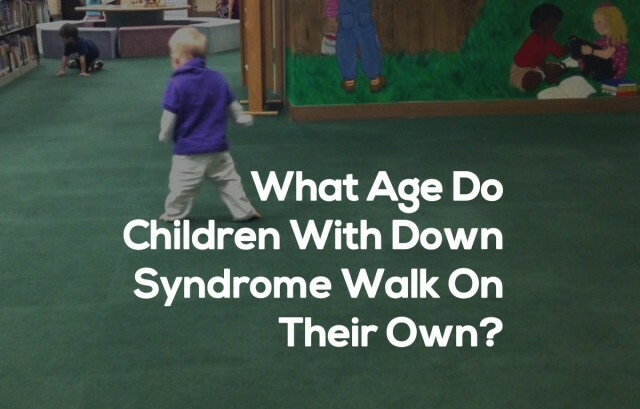 What Age Do Children With Down Syndrome Start Walking On Their Own? One of the questions people often ask is “When do children with Down syndrome walk on their own?” According to the major milestone guidelines children with Down syndrome learn to walk without support 3 steps or more between the ages of 16 and 42 months with the average being 24 months. Celebrate every accomplishment, no matter how small it seems. I find that practicing these two things helps me focus on Noah and how God is working in his life, rather than how God is working in everyone else’s life. Don’t let someone else’s child (or what your child can’t do) rob you of the overwhelming joy that your child brings. Parenting is way to awesome for that! We’ve written a lot on our site about Noah learning to walk. For those of you interested in helping your child learn to walk on their own I’ve listed out some of our more popular posts on this topic below. I hope you find them helpful. We’re so proud of our little boy, and my heart is full after seeing him become an official walker! Our son has worked very hard to get to this point, that’s for sure! As a parent there are no words for how your heart feels when you see our child accomplish a major milestone that they have worked so hard to achieve! Ahhhh….Isn’t it great to be a parent!? Has your child started walking on their own yet? If so what age was your child when they started walking? Leave a comment and let us know. I remember worrying about when my son Bentley would start walking an I felt like it would be forever an got discouraged a lot just the fact i compared him to my best friends son we had our baby’s just 2 weeks apart, I knew my son would be a little behind but stopped hanging out with my best friend cause I’d cry seeing how much he was behind but I knew when he was ready it would happen an just after his 2nd birthday he took off now I feel like it happened so fast he’s 3 now an running! I couldn’t be more proud of him just waiting for him to start talking away an I know before I know it he will be! One thing that was tricky when Halley was little was how she would learn a new skill and something she already new would be slightly forgotten for awhile. Sometimes she would revert to signing instead of talking because she was too busy learning to walk. When Halley hit the milestone of walking (which her doctor said she roils never do) I knew then that she would do so much more in her life, it just may take longer to get there. Still today, at age 19, Halley learns new things that I couldn’t have imagined when she was a baby. My daughter was heading to her 3rd birthday. She had been happy crawling and walking around furniture, but we spent a lot of time living with her older cousins and she suddenly decided she wanted to be up with them. I saw her do it.. she just stood up, and hasnt looked back.. she turns 16 in a few days. My son Drew has downs syndrome and autism and took his first steps age 26 months. It was the best feeling ever. Gabriele is now 21 months old, but he does not walk yet. He was also born with clubfeet. He works very hard and now he trying to pull himself up. It is a joy to watch him and a lesson for us for being more determined in our lives. We are so happy for Noah ! My daughter, Cali, who is 21 months has been walking at least 10 steps or more for about a month and a half.. She is amazing and I am proud of her everyday.. She has been cruising for awhile and crawling since 15 months bit this walking thing she thinks is pretty cool.. It has always been her own ambition to do things but when she does them the look in her eyes at her own pride is just amazing.. Congrats to Noah, you sweet little boy! 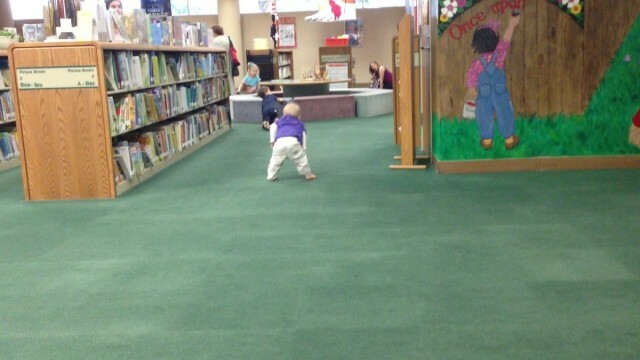 My daughter is 26 months, she pull herself to stand and go. Yesterday she really amazed me how she came downstairs and stand walk to family room. My son Grant is now 40 months, and is not yet walking. The aching backs of my wife and I can testify loudly to that fact! He is standing up rather easily now, and he’ll walk while holding onto furniture, someone’s hands, or a push toy, so we figure the big day is close. We suspect it is more about confidence at this point. 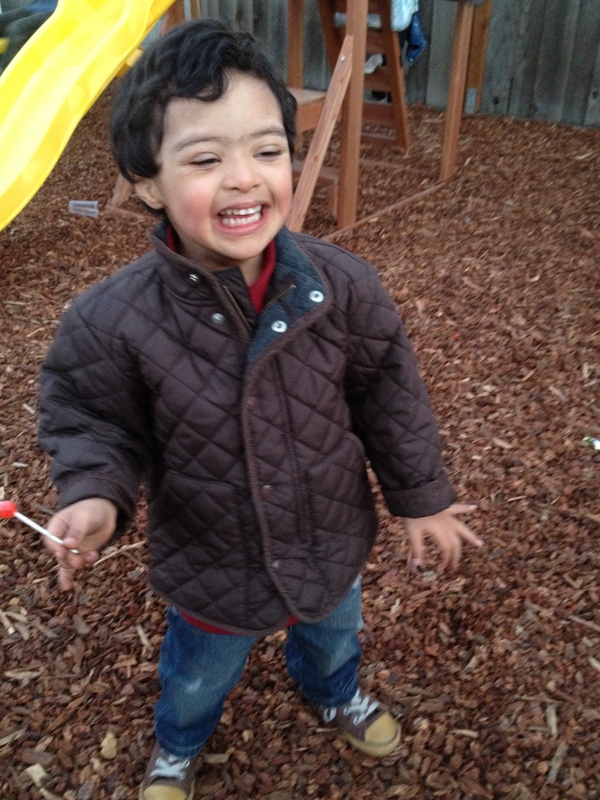 My son has Down syndrome an autism and did not walk umtil he was five. he was pulling up to a stand right before he turned 2 but a therapist let him fall and he broke his leg so he did not walk until he was 5. It was a glorious daywe were in the food court at the mall. The food court with his favorite place to be and he got up and started to walk and he walked around and around the food court. We called him one way Alex because you couldn’t turn him around to walk the other way. That was day I was so happy and proud of him. Hi Everyone, Im Jaine, I just wanted to say all Children are Beautiful. I Have Though And Im Going To Confess I Absolutely Adore Down Syndrome Children. 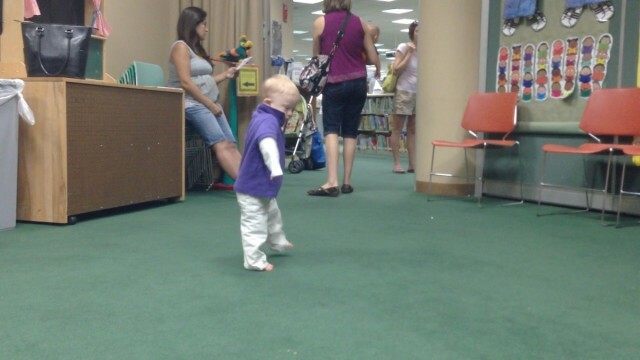 Yay for Noah, good advice for other parents who are trying to help their child learn to walk. Thanks for the comment! Do you have any children with Down syndrome yourself? I have two kids and and my brother has down syndrome and he is the greatest blessing to our family. Am happy for nah, God bless him. I ve a son with DS but am proud of him. He is 2yrs and 8mths he is walking very well now, He started walking at 20 months but yet to talk though he try to mutter some word. I believe he will do well by God’s grace. Great Job Noah!!!!! !Haddey (16months DS) and I watched this together and gave you a big yeah! She blew Noah a kiss, we are working on the walking, just got the Dino for Valentines day. like the music just getting the meaning of it right now. Still like the hold my hand and walk with me. But getting there. again , Great Job Noah! Update:Hadley loved the Dino and i recommend him! 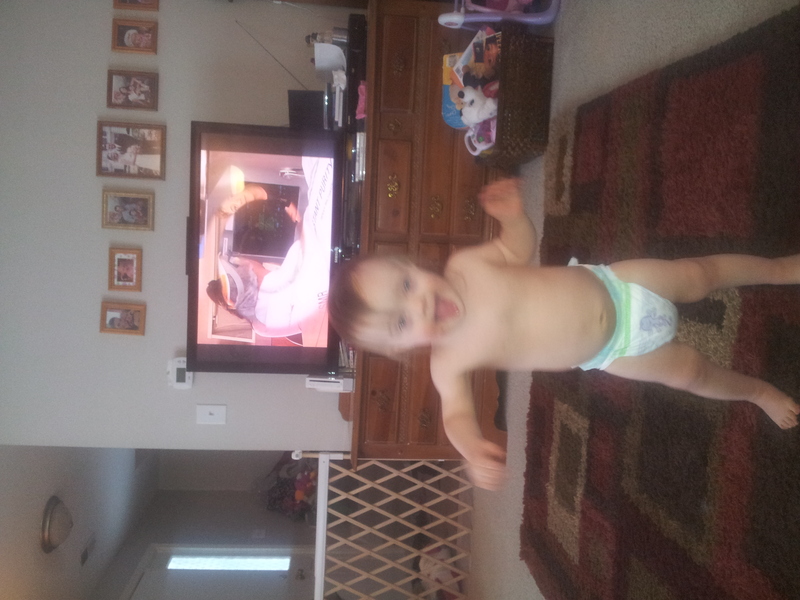 She started walking on her own at 19mon then really good by 21. Now we can’t slow her down,she is a great climber but i don’t feel that is such a great thing. My son Adam has down syndrome. He was born with club feet and had surgery at nine months. He was 2 years old before he started walking. He is now 17 years old and I am so proud of him!!! This is exciting. I bet it was especially so, considering it was so sudden. I have a question. Are you still catching up on posting? I thought Noah was quite a bit older. I don’t know how, and it’s not a problem at all, but I noticed that a video of my son with ds , walking at 15 months, has been viewed through your website. I am chuffed that he has been noticed on such a well viewed website and if you could keep it there , it would be amazing for us. I was just trying to find it, but couldn’t , could you help me? My son, Caelan, was diagnosed downs 5 days after an emergency c-section. When we got home the health nurse that visited gave us the best advise ever. “Right now he is just like any other baby. No one knows when he will reach his milestones just like with any other ‘normal’ baby. So just enjoy.” We have taken her advise to heart. Whenever we go to our various appointments and doctors/nurses/hospital staff ask us if we want to see the comparison chart for weight/height/milestones etc we say no thanks. Things will happen when they happen. My son Sean was an early walker, he surpassed everyone’s expectations when he walked at 14 months. Every child is different. He is now 4 years old, and is a strong runner. Of course we are still working in so many other things, like potty, speech, reading and writing, but everyday is so rewarding to see how much he learns and we celebrate every milestone with so much pride and joy! Every child no mater their condition has so much potential! They will reach their goal when they are ready and I learned it the hard way. My sweet Katy has been an anomaly since birth. She never had low muscle tone, so all they physical barriers were knocked down early on. 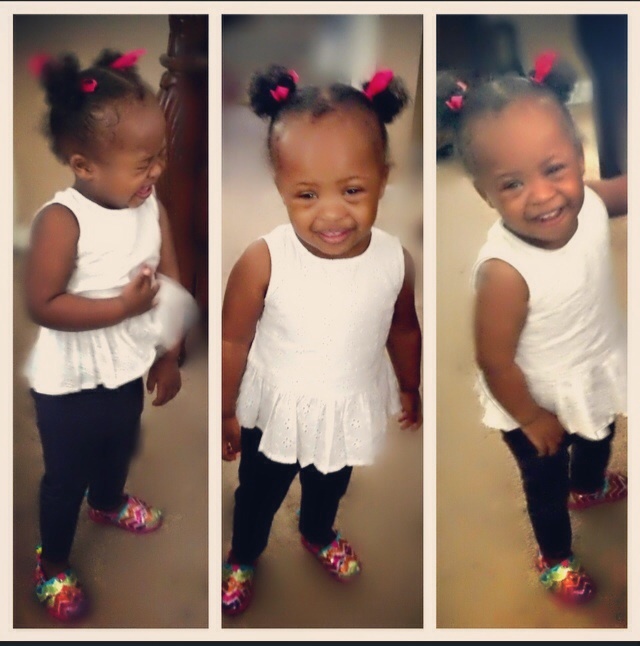 She walked at 18 months. I worked so hard not to compare her to others, especially her sister ( a typical child only 14 months older than Katy). But walking was easy for Katy. You just never know with kids, and with kids with DS it is even more of a mystery, and even more of a celebration when those milestones are reached!!! Congratulations to Noah and his wonderful parents! He’s an adorable little boy. I’m very pleased that Noah has parents who celebrate milestones and smaller victories. I think we were so impressed with Aidan’s other milestones, that walking sort of got glanced over. I mean, we were excited he could do it, but I felt like we didn’t celebrate as much as we should have. It was fun seeing him practice though. And a bit unnerving when you see him running uncontrollably and maybe face first into a curb. My son is 3 months tomorrow and in the beginning I was so hung up on charts because my first 3 children were born without the extra chromosome so, I worried about how he would accomplish all of the milestones but have let it go and now, I just enjoy every second of his life and leave the worrying to god. Last night we enjoyed the first and second times that he rolled over and not dwelling on “what’s next”. He is a joy and he is mine but most importantly, he is who who he is supposed to be. My little girl will be 8 years old in 4 months time and we have been doing physiotherapy with her since a few months after she was born. We ‘ve been told early on that her muscle tine is at the end of the down syndrome spectrum. So we were told not to expect walking till she was 5 years. We insisted on early intervention where children start physical therapy very early on. Today, I have been in tears i cant even explain it. i rarely talk about this because every expects you to be strong. we have even done private physical therepay sessions with her for years and she seem to be afraid of standing or walking. we would stand holding on to table or chairs but she has never had the confidence to do this or walk unaided. she’s also had breathing problems from birth and she’s on long term oxygen and ventilator support overnight. My husband and i have been trained to administer his for years to our daughter. 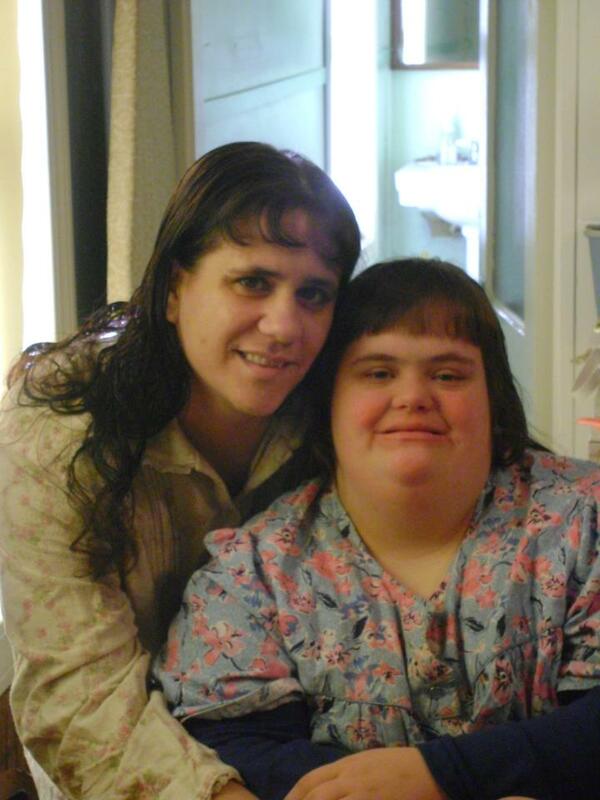 We don’t know if she has an additional undiagnosed condition like cerebra palsy. We have tried everything. I can’t summarise all here. I chose to work from home from the day my daughter was born, This is so that i can focus on looking after my daughter. Believe me when i say that we have tried everything. I don’t know if there’s any thing else that we should be doing. We live in Bolton, united Kingdom. I’m so desperate for help.